Hot off the back of the Rio Olympics and Hockey is still basking in the limelight. The nineteen ladies chosen to represent Great Britain hit a nerve with the UK public, finding themselves the heroines of an unbelievable fairy-tale that had the nation hooked. The Gold medal final was watched by nine million people, nine million, that’s an amazing amount for a sport that has taken a bit of a back seat until now. After we won Bronze at the London Olympics, hockey funding went up, and the participation of women in sport went up by 25%. We can only wait and see what the Rio effect will be, but I think it’s safe to say that as far as hockey is concerned, it will be a positive one. Those nineteen women had a shared goal (aside from winning Gold that is) and that was that they wanted to, ‘inspire the next generation‘. 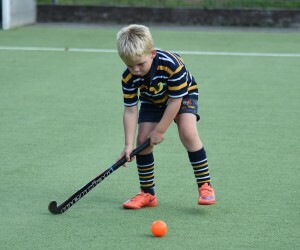 My club, Old Cranleighans started it’s junior section (Colts) nearly five years ago with just fifty children. They now count nearly three hundred mini-players. I caught up our Ladies Club Captain Helen Hawes, who helps coach the Colts, to find out more about it.